Nursing is tough, and to ensure that you will become the best at your trade, you need to find the best schools. It’s important to understand that just like doctors, nurses can specialize in a specific area of the medical field. The way we compiled the list was to look at schools that ranked in the top 10 overall for specialities such as Adult, midwifery, geriatrics, family, pediatrics and psychiatric nursing specialties. 10. University of Pittsburgh: Jacqueline Dunber-Jacob , PhD, RN, FAAN, and Dean at Pitt School of Nursing contends: " The University of Pittsburgh prepares nurses at a variety of levels. We offer a traditional baccalaureate (BSN) program, which admits persons with a high school degree. RN options is a track to the BSN for registered nurses who have received entry-level education in community colleges or hospital programs; and an accelerated second-degree track is offered for individuals who have already received a baccalaureate degree in another field. Our students receive excellent clinical preparation within a superior health care system and throughout the greater Pittsburgh community. Our master of science (MSN) and doctor of nursing practice (DNP) programs are designed to prepare expert nurse practitioners, nurse clinicians, and nurse anesthetists, as well as to prepare knowledgeable practitioners in nursing education, nursing administration, informatics, or research management. Our master’s program includes four majors with thirteen areas of concentration, including the Clinical Nurse Leader (CNL), a generalist master program in nursing. Students in all our programs have the opportunity for excellent mentored experiences to develop their knowledge and skills." Pitt School of Nursing was ranked 7th on U.S News& Reports Best Graduate Schools of 2008.
fulfilling its covenant of care with the publics it serves." University of North Carolina’s Nursing School has been recognized by NIH as the no.4 in research funding. It was also ranked amongst the top 10 graduate programs by U.S. News & World Reports. 8. University of Michigan, Ann Arbor: The University of MI contends that their nurses are "spirited leaders that make a difference. This is how: "We have a passion for the ‘Michigan Difference’ which exemplifies rigorous scholarship, high expectations for ourselves and our students, and accountability for continuous quality. We are committed to diversity and have a global reach in our research, education, practice and professional service. We prepare our students to be leaders and thinkers who also have cutting edge skills. The graduates of all of our programs are the ‘best of the best’ and populate leadership positions locally, regionally and around the world. We value interdisciplinary activity and are leaders on campus in areas of our expertise. Our environment and activities are engaging for faculty and students and draw the best from each of us. We aspire to be good partners to each other in a spirit of ‘lifting others as we climb’. We want to function with flexibility, synergy and efficiency across programs and divisions. Lead the nation and influence the world through the impact of our research, educational programs and practice innovations on health"
U of M Nursing is ranked in top 3 nursing graduate schools according to U.S News & Reports. 7. Columbia University: Columbia has a rich history, and that’s what makes it stand out: "Columbia University School of Nursing is part of one of the world’s most renowned academic health centers. One of only 18 such centers in the US, the School of Nursing, the College of Physicians and Surgeons, the Mailman School of Public Health and the College of Dental Medicine are located on the health sciences campus of Columbia University along with the Columbia campus of New York Presbyterian Hospital. We are a vital neighborhood collaborating on research, education and clinical care and sharing a vision for the future of health care in this country. The School of Nursing is proud of its 117 year history of educating nursing leaders and spear-heading advances in the nursing profession. It is the first school to implement a universal faculty practice plan. It is the first school with an endowed chair in health policy and has the most endowed chairs of any school of nursing. It is the first school to be named a World Health Organization Collaborating Center for the international Nursing Development of Advanced Practice. And it is the first school to develop and offer a doctoral degree in clinical nursing, the DNP." Columbia’s Nursing program is the oldest, continuous program in nurse midwifery. It is distinguished because it was the first nursing school to be designated a World Health Organization Collaborating Center for International Nursing Development in Advanced Practice. 6. University of Colorado: University of Colorado’s School of Nursing has stated on their website "Find your Future Here!" In their words: "In 2008, the College of Nursing celebrated 110 years of contributions to nursing education, practice and research. The BS in Nursing program, established in 1920, is one of the oldest baccalaureate programs west of the Mississippi. The MS program began in 1950, the PhD in 1978. The professional doctoral program (ND) was established in 1990 and in 2005 was converted to the DNP in accordance with national standards. In 1965, we offered the first nurse practitioner program in the country. The UC Denver College of Nursing consistently ranks in the top schools of nursing for the quality of our programs." 5. Rush University: In the words of Melanie C. Dreher, PhD, RN, FAAN Dean of College of Nursing at Rush University. “The unification of education, research and practice is the learning model of this college. Faculty with graduate education and advanced clinical skills hold strategic positions in the college, as well as in the medical center and community. In fact, 90% of faculty have active clinical practices. Their responsibilities include imparting knowledge, creating new knowledge and providing services to patients in their respective clinical domains. Faculty have the opportunity to function in one of three roles: teacher-practitioner, teacher-researcher, or researcher-practitioner. It is this overriding and consistent academic clinical focus that drives the outstanding national reputation of the college. Through our carefully designed programs, students experience the Rush commitment to clinical scholarship and the art of nursing in action. This outcome emanates from Rush University’s focus specifically on the health sciences and its integration into a large academic medical center. Rush University Medical Center provides a rich environment where students of nursing, medicine, graduate studies and allied health sciences live and learn in an interdisciplinary and dynamic setting. Rush College of Nursing continues to be rated in the top 5 percent by U.S.News & World Report in a national survey of nursing schools with graduate programs. 4. Yale: The team at Yale describes the Nursing school as “is a diverse community of clinicians and scholars with a common goal: better health care for all people. We strive to achieve this goal through insightful research and expert care, both of which are informed by a model that empowers patients. Founded in 1923, YSN became the first school within a university to prepare nurses under an educational rather than an apprenticeship program. Dean Annie Goodrich’s insistence that her students came to Yale to learn a highly skilled profession rather than to provide extra hands to already trained nurses was truly revolutionary. The school continued to spawn new ideas that have helped redefine nursing: the groundbreaking research of Virginia Henderson, the founding of the American hospice movement by Dean Florence S. Wald, the advancement of clinical trials in nursing with leadership from Rhetaugh Dumas, and the first "graduate entry" system that enlivened nursing practice by attracting mature students with varied and rich life experiences. Yale is ranked seventh among "America’s Best Graduate Schools of Nursing" by the U.S. News and World Report. It has also received recognition from organizations such as Pediatric Nurse Practitioner Specialty (first), Adult Medical-Surgical Clinical Specialists and Midwifery (third), Family Nurse Practitioner and Psychiatric-Mental Health (fourth), and Adult Nurse Practitioner (fifth). YSN also is ranked seventh among schools of nursing in receipt of NIH funds. · Advance and preserve knowledge about human health. · Educate the next generation of nurses—including practicing clinical nurses, advance practice nurses, nurse faculty and nurse researchers—and the general public. 2. University of California – San Francisco: In the words of Kathleen Dracup, RN, DNSc, FNP, FAAN and Dean at USSF School of Nursing: “More than ever before in its 100-year history, our mission is clear and pressing. 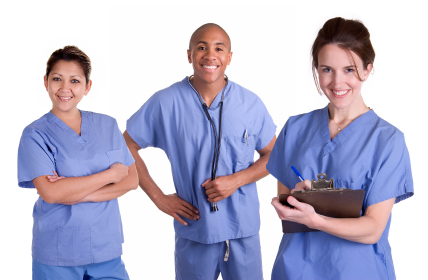 California and the nation are desperate for highly skilled advanced practice nurses, nursing faculty, and health policy leaders, and we are strategically positioned to prepare this cadre of professionals. In the last 5 years alone we have tripled our research funding, gained additional scholarship support for our students, and increased our enrollment to foster the preparation of new nurses and new faculty for the state of California and beyond. The UCSF School of Nursing is uniquely poised to offer leadership and meet today’s challenges. UCSF School of Nursing was #1 in National Institutes of Health (NIH) Research Funding for 2003, 2004, 2005, and 2006 (last rankings available). The ranking covers research grants, awards, and contracts. UCSF School of Nursing was again top ranked in the US News America’s Best Graduate Schools survey for 2007. 1. University of Pennsylvania – Philadelphia: The university explains it’s program as follows: “Penn Nursing offers a number of resources and experiences not found at most other schools including a state-of-the-art simulation lab with mannequins responding as patients would, one of the first PACE practices owned and operated by a School of Nursing delivering care to frail elders, classrooms with the latest hospital-based electronic medical records (EMR) technology, and clinical experiences in The Children’s Hospital of Philadelphia and the Hospital of the University of Pennsylvania, two of the nation’s best. So now you know where to look first when considering a nursing career. Good luck! How To Be A Registered Nurse? Next post: Hospitals Can Be Deadly?